Mark Evans has this to say “If you’ve ever had a lemon sherbet candy, then you already know how citral smells; mouth-wateringly hesperidic, powerfully fresh, juicy lemon sherbet, tangy, zesty peel with a little greenness thrown in for good measure. 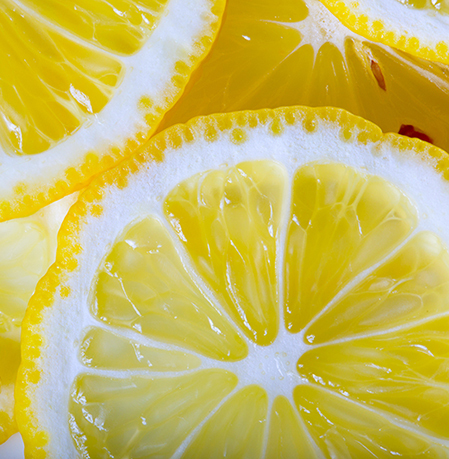 Although citral is incredibly useful in adding brightness, realism and deliciousness to citrus accords, is naturally present in high proportions in lemons, lemongrass, litsea cubeba etc and is generally an exciting boon to the perfumer, some precautions need to be taken into account when using it. First of all, it’s pretty unstable in air and also likes to react in solution with other chemicals causing changes in the scent and discolouration over time (yellowing).